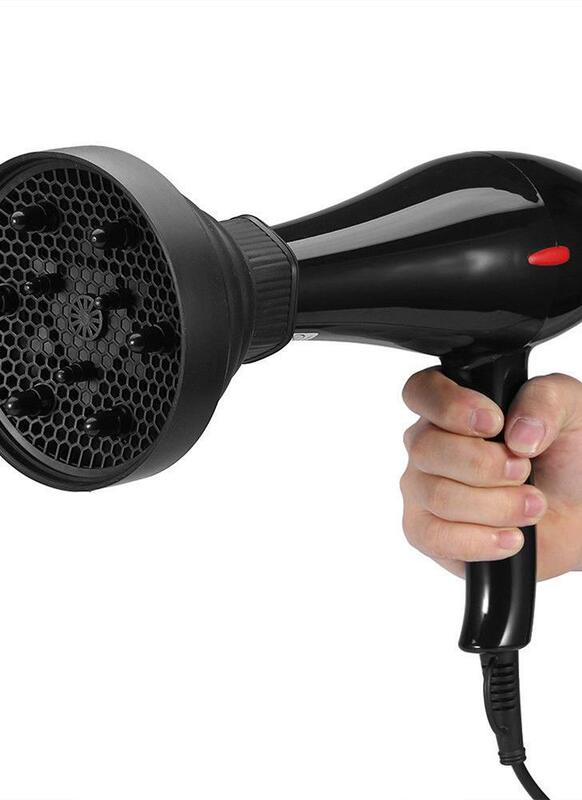 This hairdryer diffuser is specially design for hair salon, blow the hair, dries hair rapidly & softly. Folding structure, space saving design. Also can used for home use. Light weight, easy to handle, flexible, never damaged. Light weight, easy to handle, flexible, never damaged. Able to collapse and fold for travel and storage needs. Uses in different direction to blow the hair, dries hair rapidly & softly. The detachable filter net is easy to be removed and cleaned. Fit most hair dryers, suitable for professional and home use.